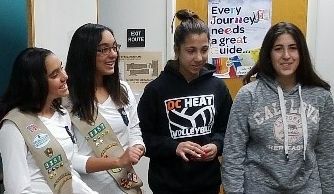 Program Specialist Donna Lack of the Girl Scouts of Orange County Council in Irvine, California convened a “P.R.A.Y. Task Force Meeting” in January to brainstorm ways to engage the religious community. Seven religions were represented: Baptist, Buddhist, Catholic, Christian, Islamic, Jewish, and Lutheran. The meeting was an opportunity for representatives to network together and to explore ways to provide faith-based programs and opportunities for Girl Scouts. One of the highlights was a presentation by members of an Islamic Girl Scout Troop 3357. The girls were very open in discussing their faith and provided a special dish to share with participants. Does your council partner with the faith community? Share your stories of Faith Based Initiatives, also how Girl Scout Sunday/Sabbath is celebrated in your communities. Let’s gather best practices to encourage and provide resources for others to do the same. Share your stories here or contact Deb Hazlewood . Girl Scouts Peaks to Piedmont invited CEO Jason Noland to make a presentation to their staff and volunteers on the benefits and strategies of working with the religious community and how the religious recognitions created by the various national religious organizations is the key to connecting Girl Scouting and Faith. 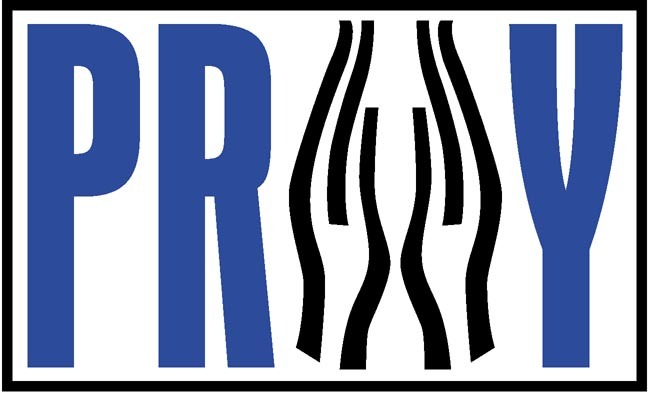 P.R.A.Y. does more than just administer the Protestant religious recognition program. 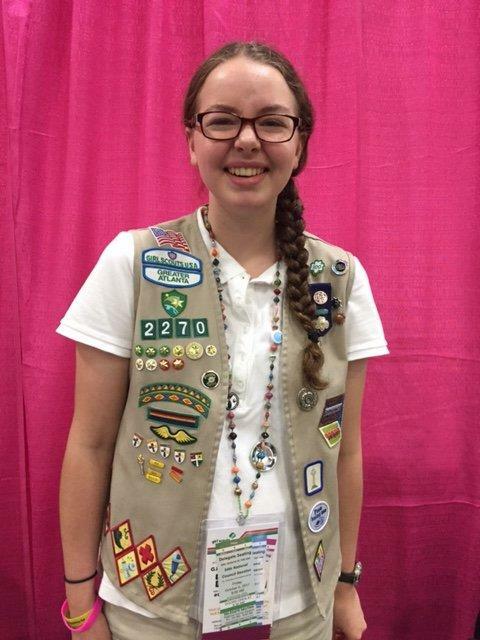 Part of P.R.A.Y.’s mission is to help congregations embrace Girl Scouting as ministry. And one of the ways that P.R.A.Y. can achieve that is to come alongside Girl Scout Councils. P.R.A.Y. 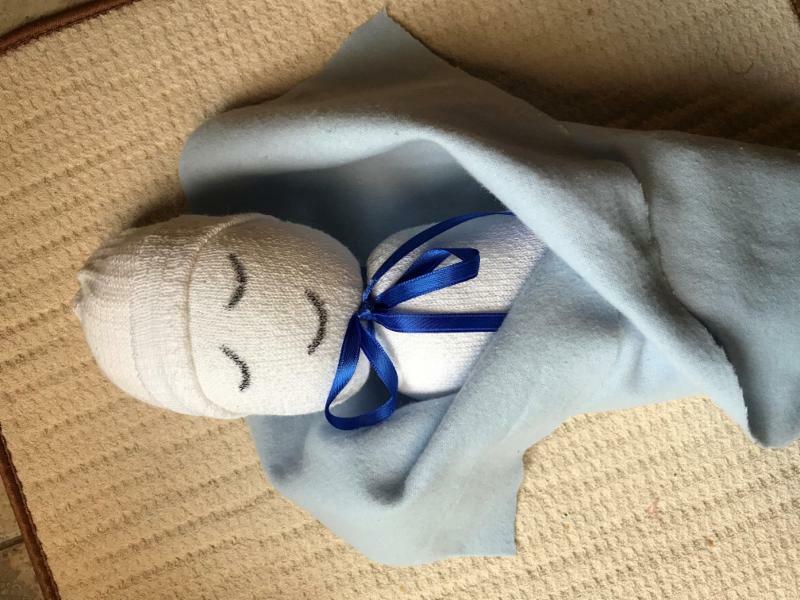 provides training and resources to council staff to help them approach congregations and interpret Girl Scouting in terms of membership and outreach for those congregations . Interested in a Faith Based Initiative for your council? Contact Jason Noland for more information. Click here to read their complete reflections. Note: Only those who start in 1 st , 2 nd , or 3 rd grade will be eligible to earn the Four Star award. Start a God and Me class now to get those young girls on their Four Star journey! Older girls should jump in at their appropriate grade. Each program level is an independent unit designed to deepen a young person’s faith and commitment. 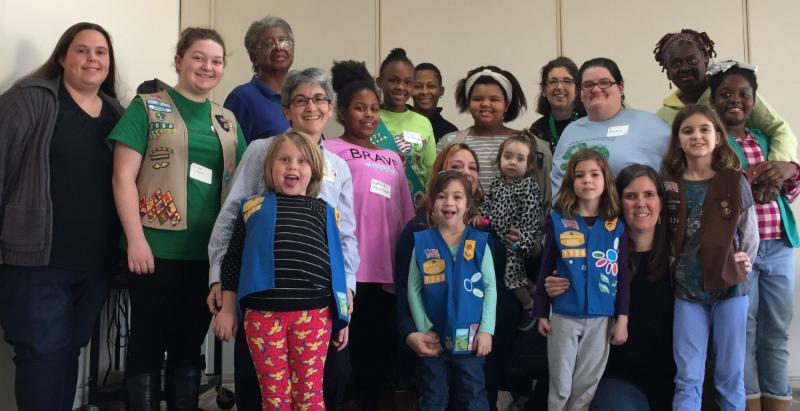 9 Girl Scouts earned their My Promise, My Faith pins along with The Good Book patch (from the Bible Basics RP3 series) at a workshop hosted by the Christian Protestant Committee of the Girl Scouts of Eastern Missouri. 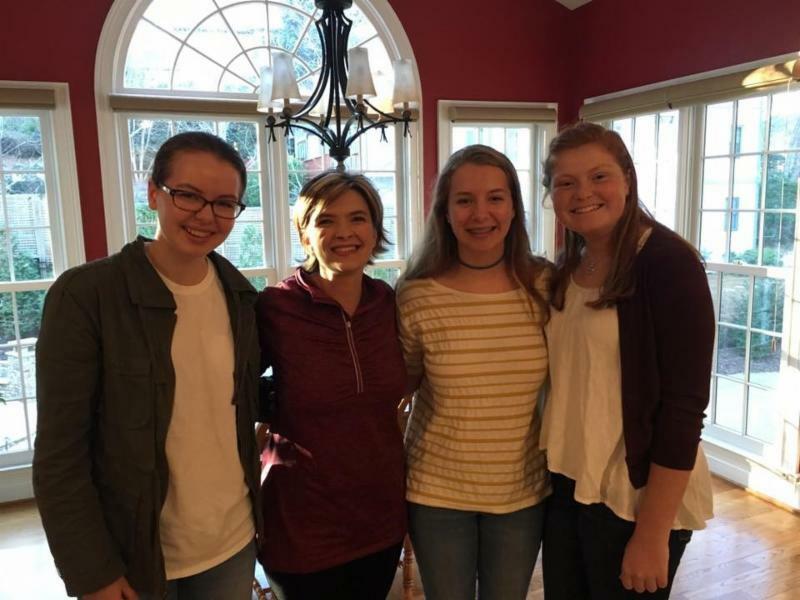 The focus was on RESPECT AUTHORITY from the Girl Scout Law, and girls discussed how God is our ultimate authority and the importance of reading the Bible. Activities included acting out the Bible story of King Josiah discovering the lost scroll, the building up and tearing down of false idols, putting the books of the New Testament in order, and doing physical training and comparing that to training in righteousness. Girls created notebooks with the Bible verses, handouts, charts, and coloring sheets. Note:The “Out of the Water” patch is part of P.R.A.Y.’s Bible Basics RP3 Series. Click here for more details and to request the free curriculum. P.R.A.Y. posted the 2017 usage figures online. 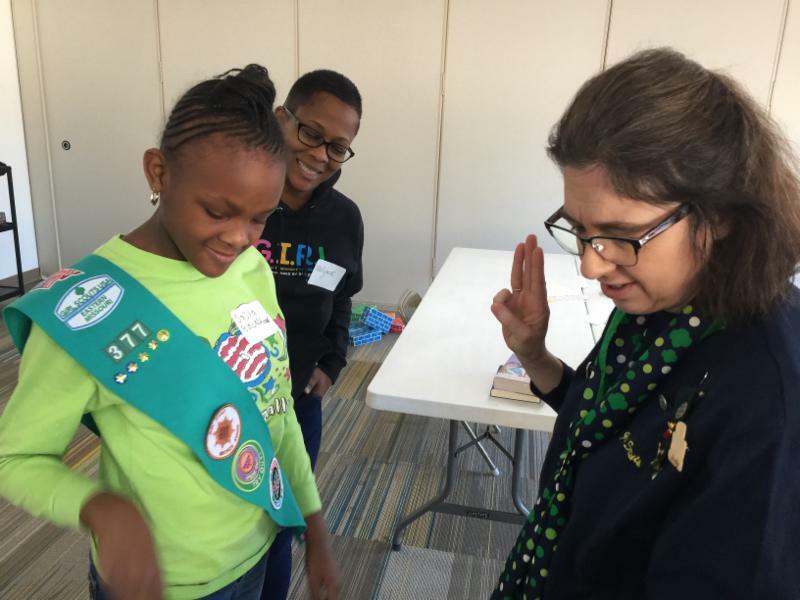 882 Girl Scouts earned a P.R.A.Y. award last year (a decline of -28%). Click here to see usage by council.